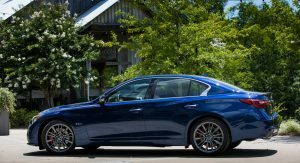 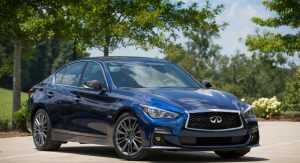 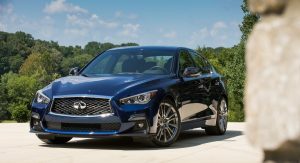 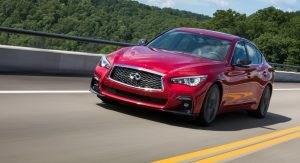 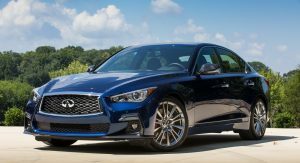 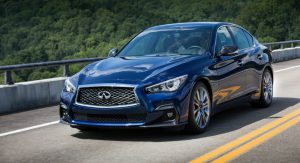 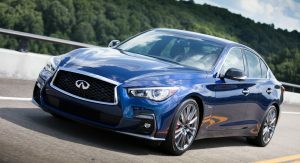 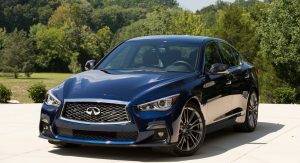 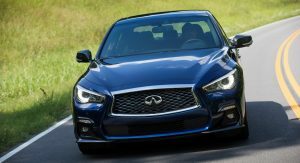 Infiniti released pricing and range details for the 2018 Q50 four-door sedan which features a refreshed exterior and interior among other updates. 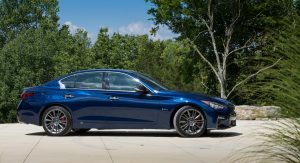 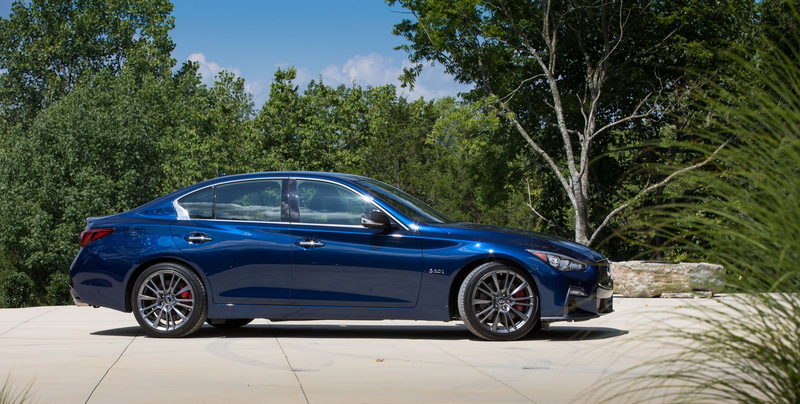 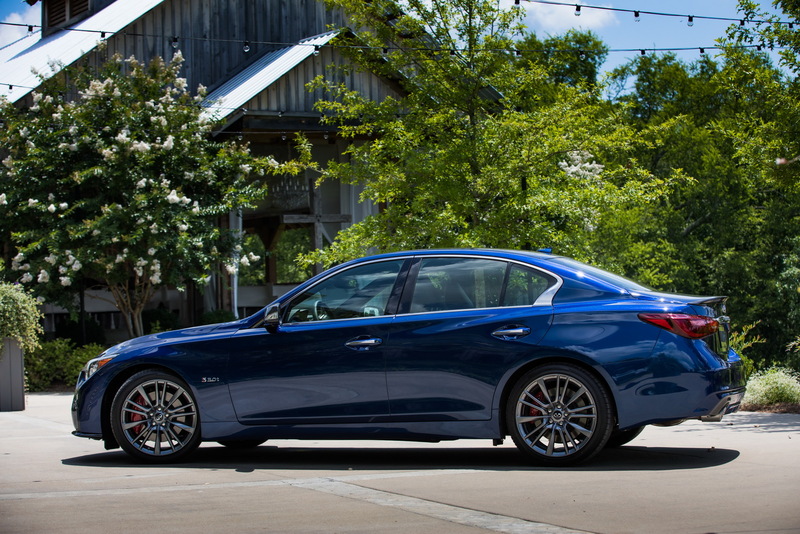 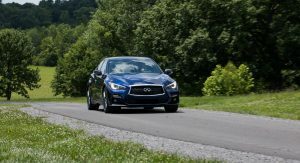 In total there will be 12 different versions of the 2018 Infiniti Q50, featuring four powertrains and the choice between rear- and all-wheel drive. 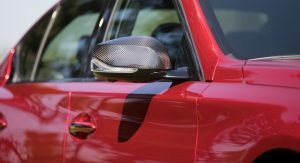 The new range also gives customers the option between Luxe and Sport models, which are priced similarly. 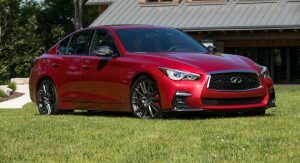 The new versions are part of the company’s new global grade naming structure that includes Pure, Luxe, Sport and the range-topping Red Sport 400. 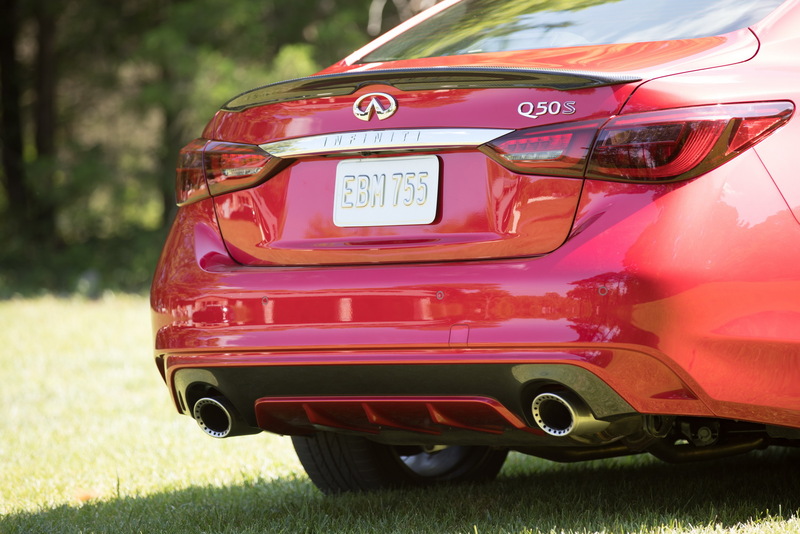 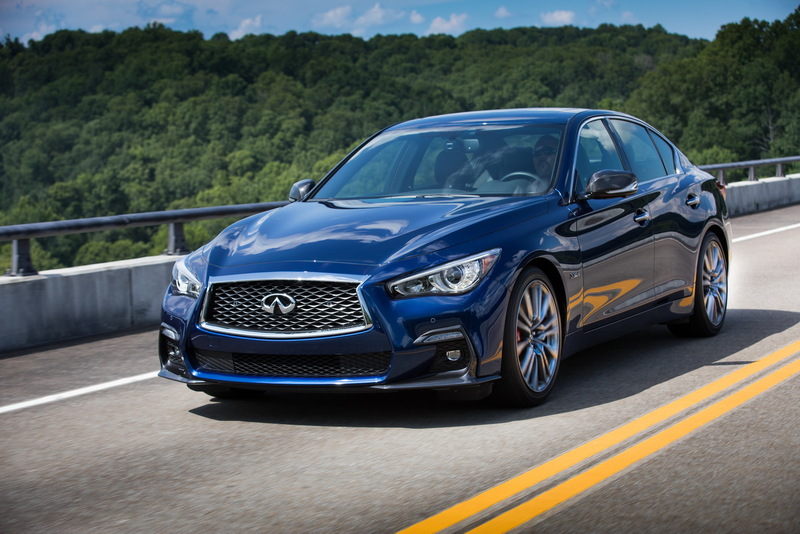 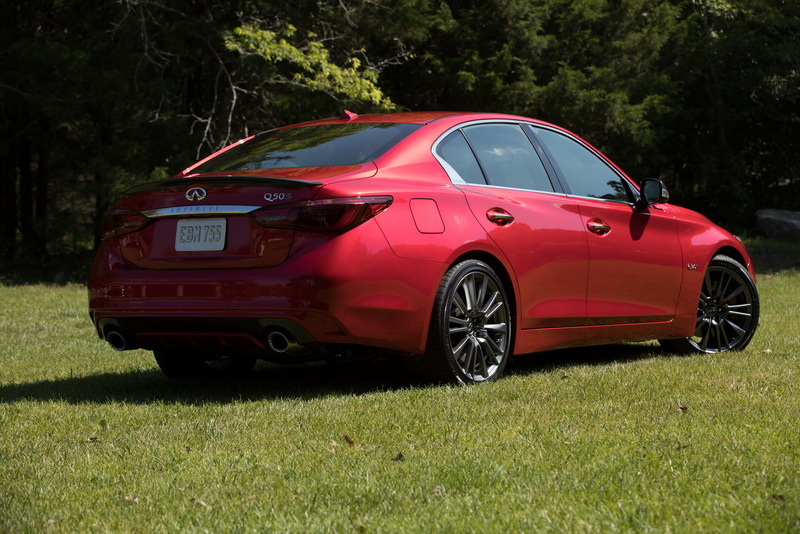 There is also a new exterior color option, Mocha Almond, added to the Q50’s palette. 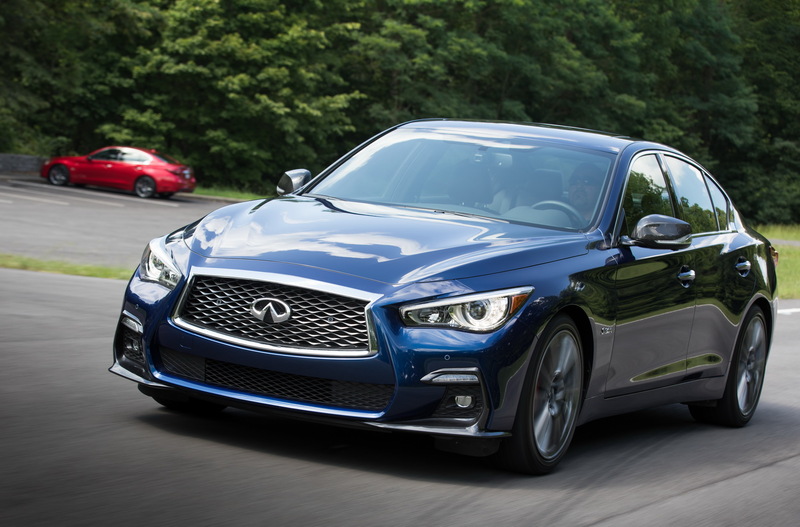 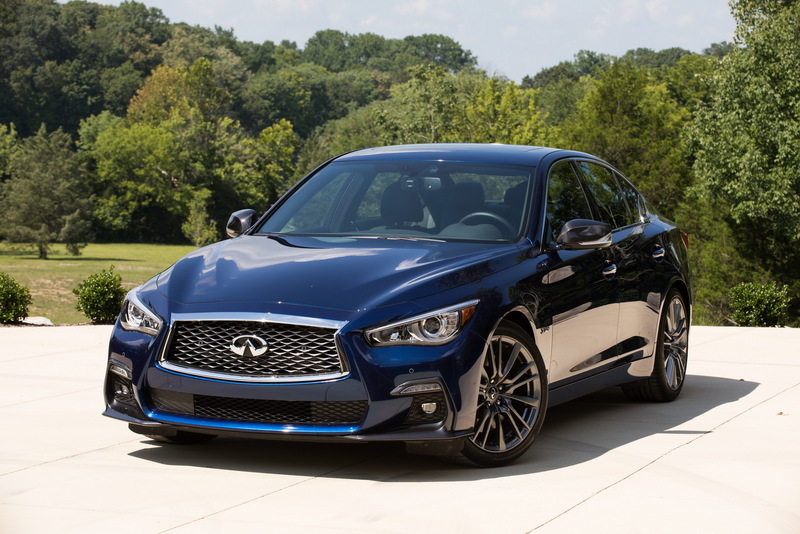 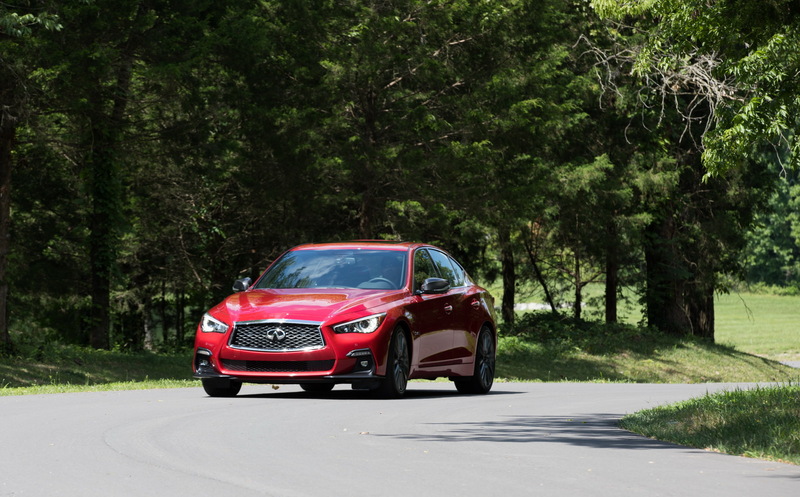 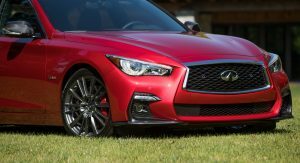 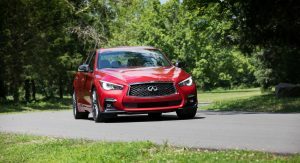 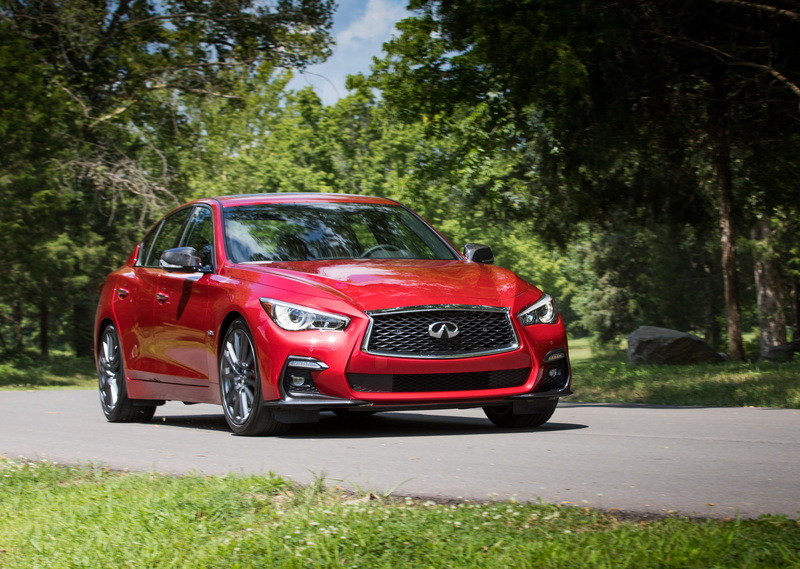 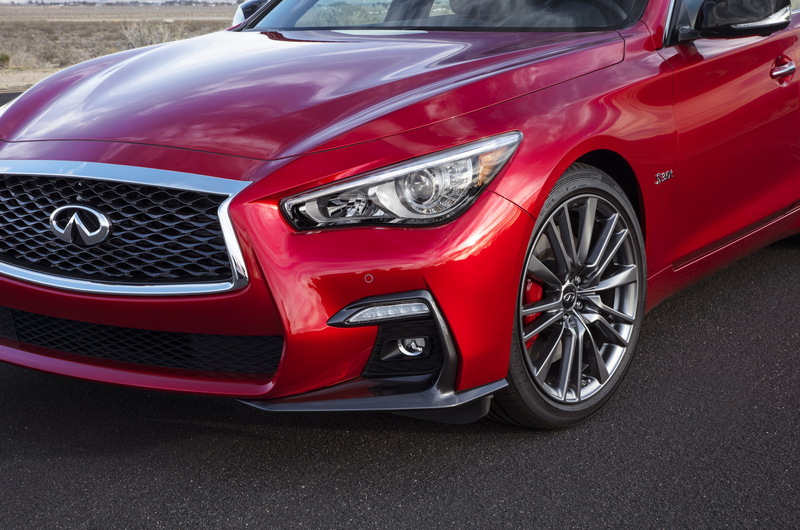 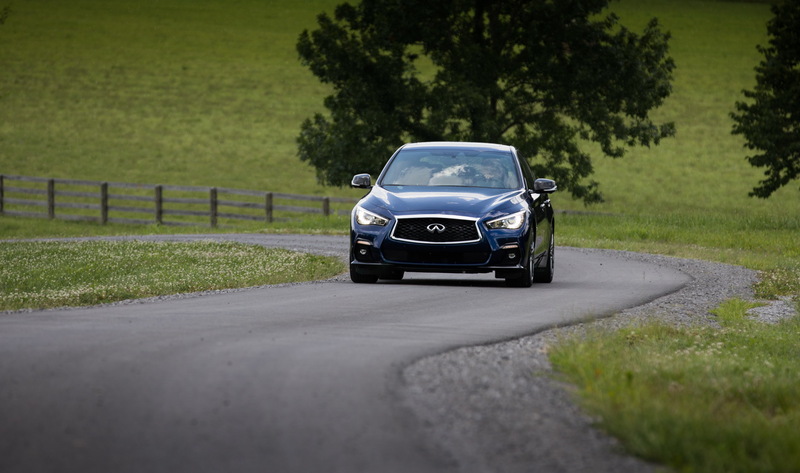 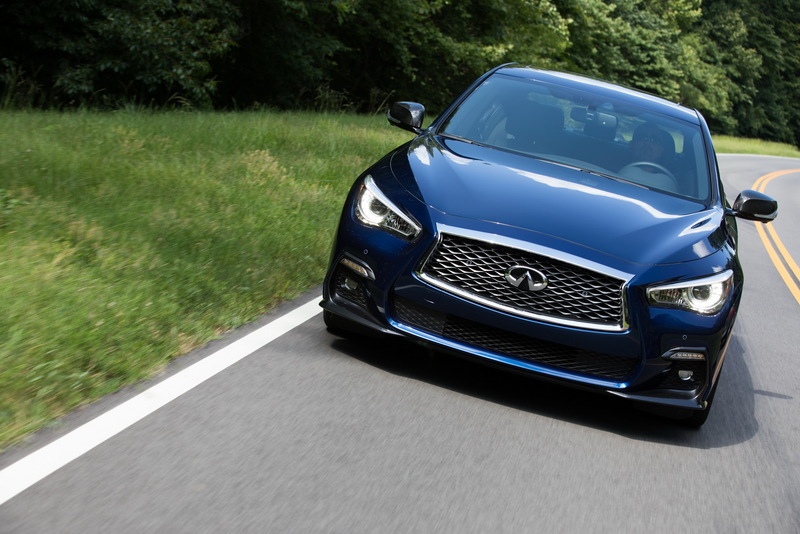 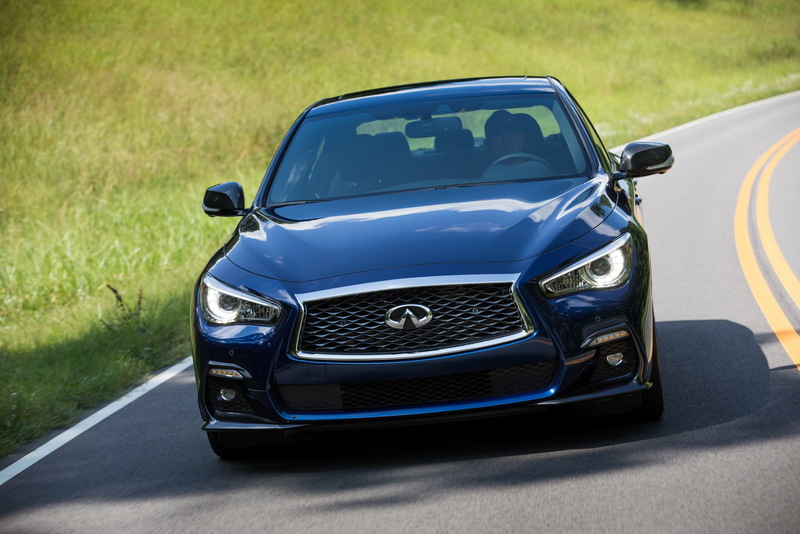 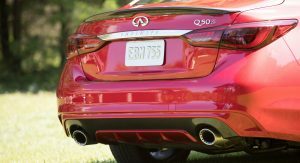 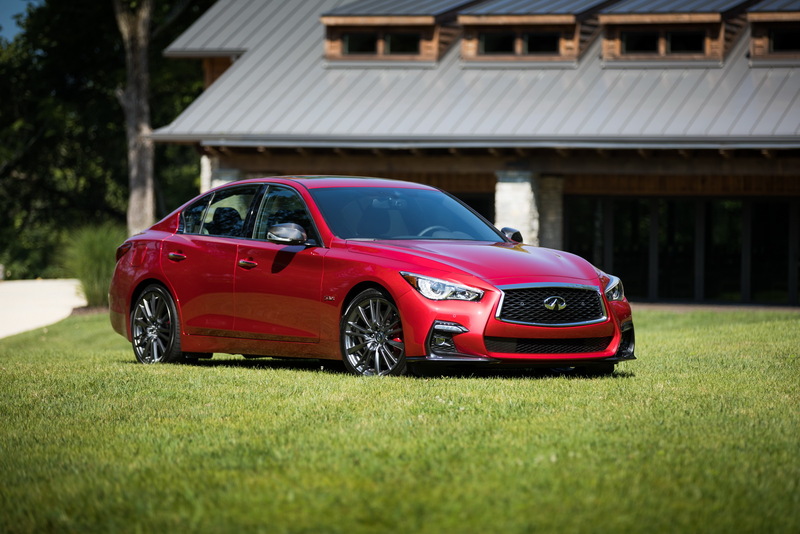 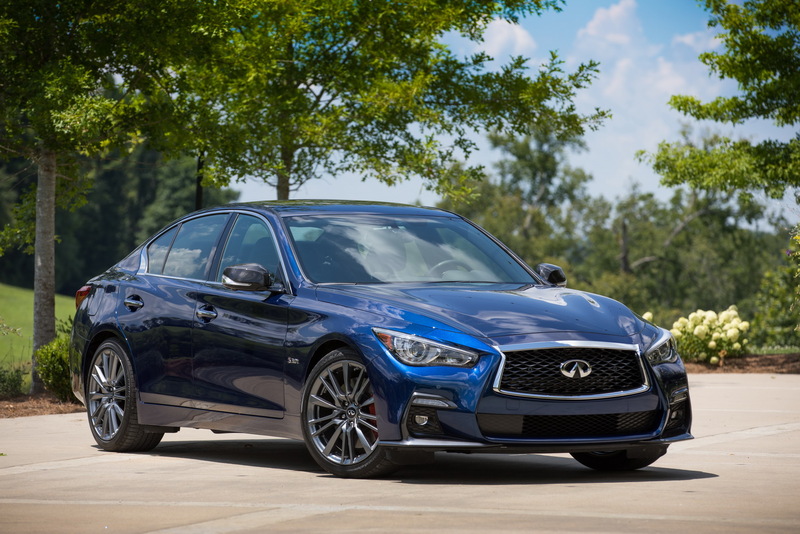 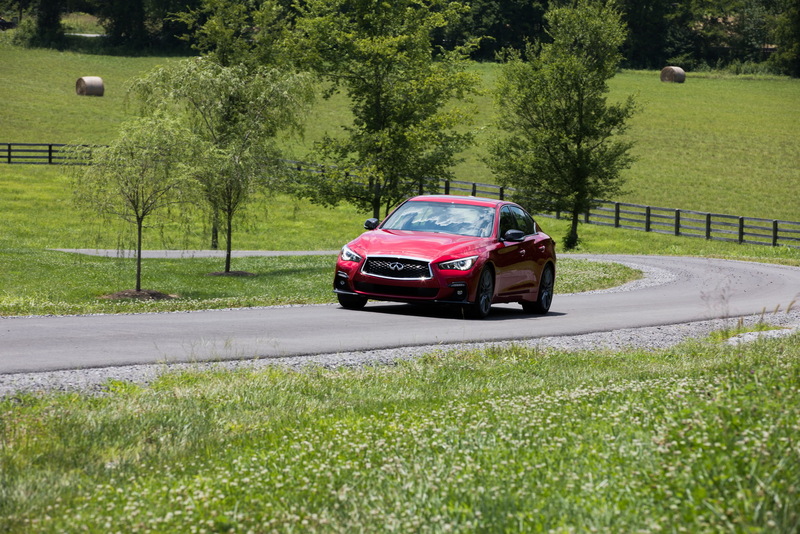 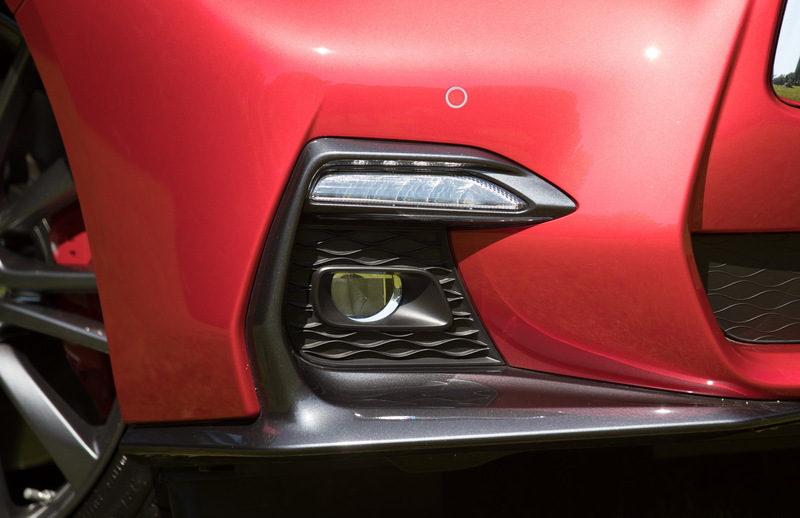 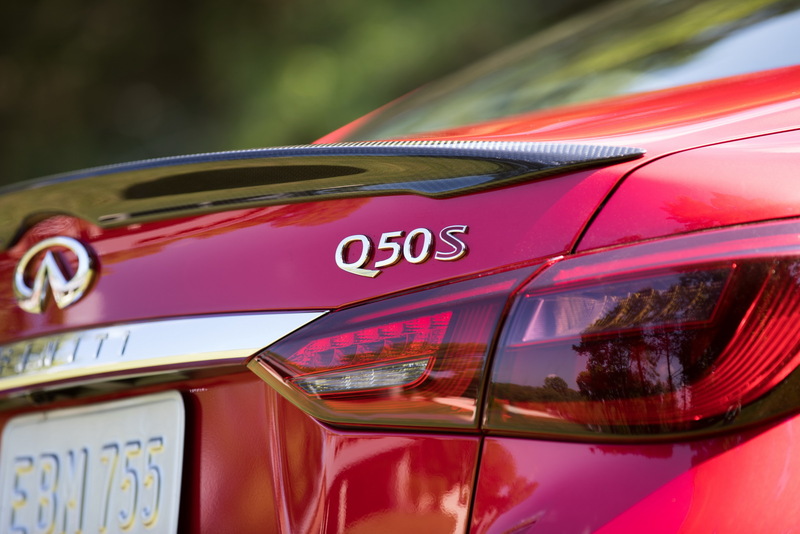 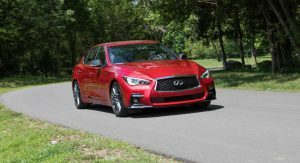 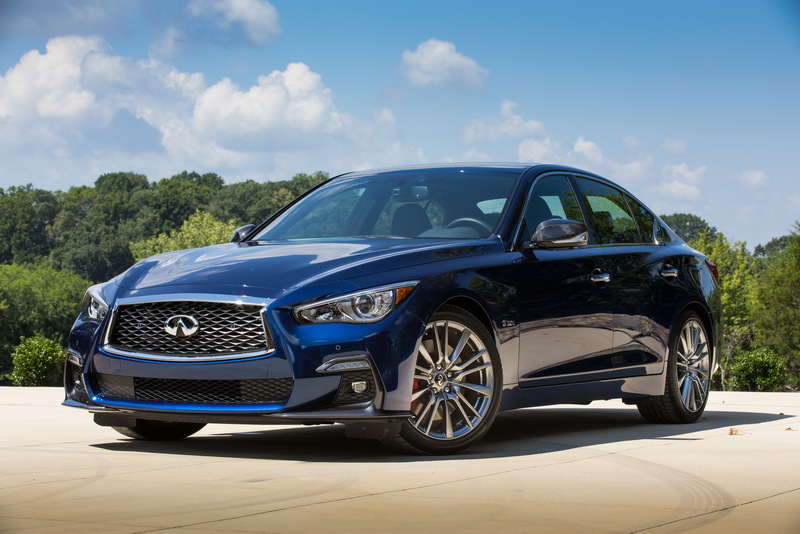 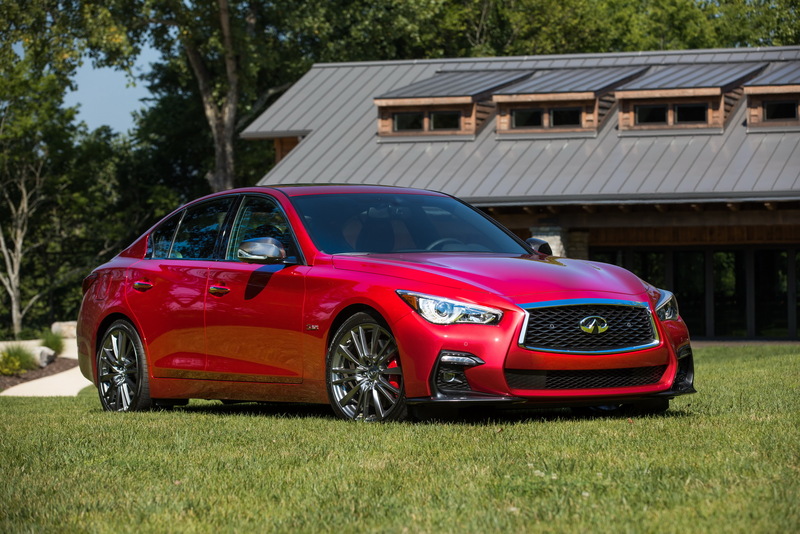 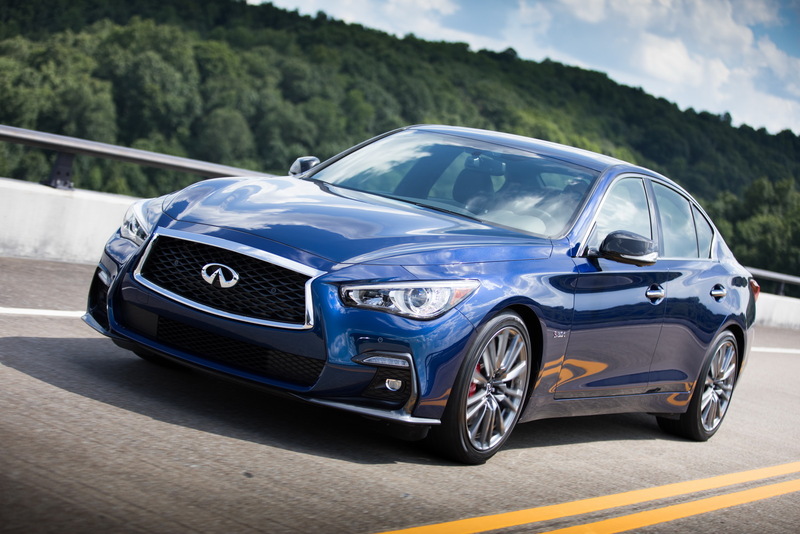 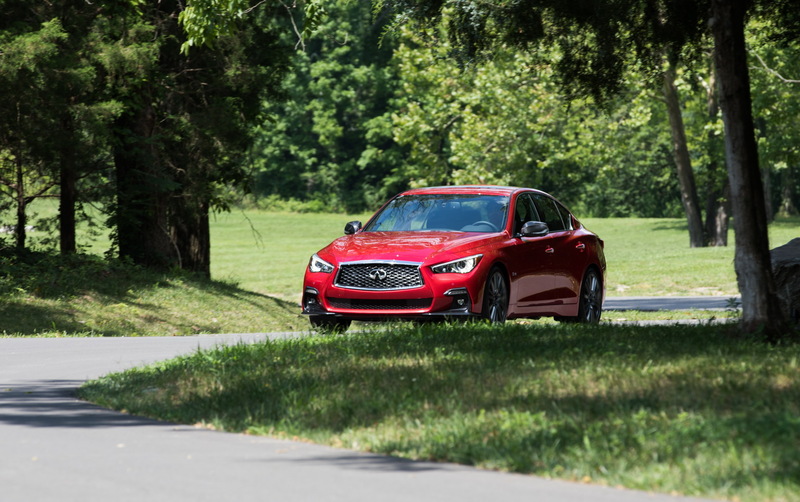 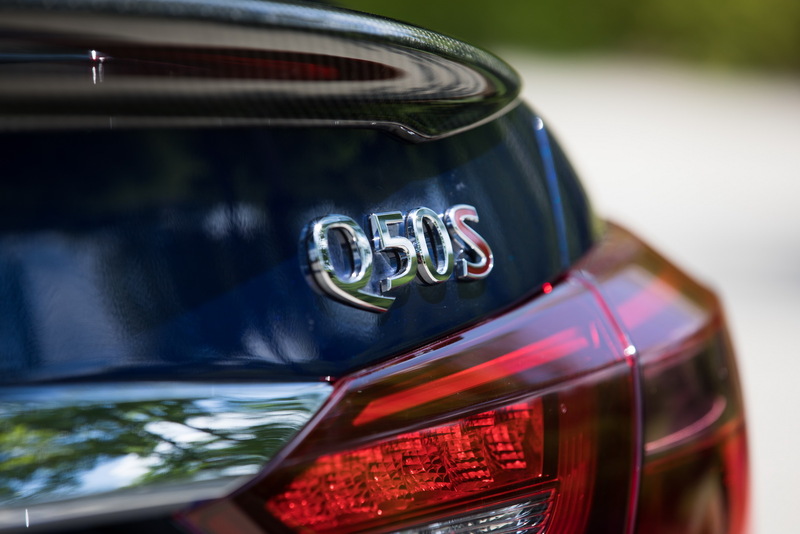 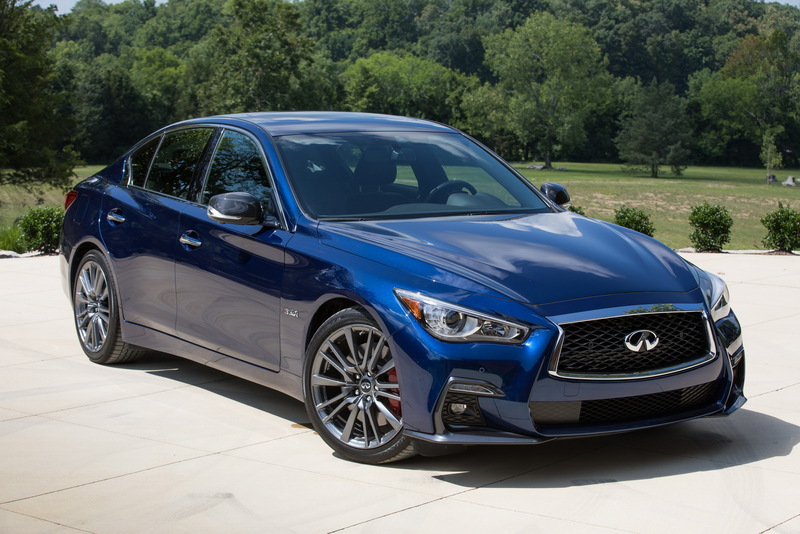 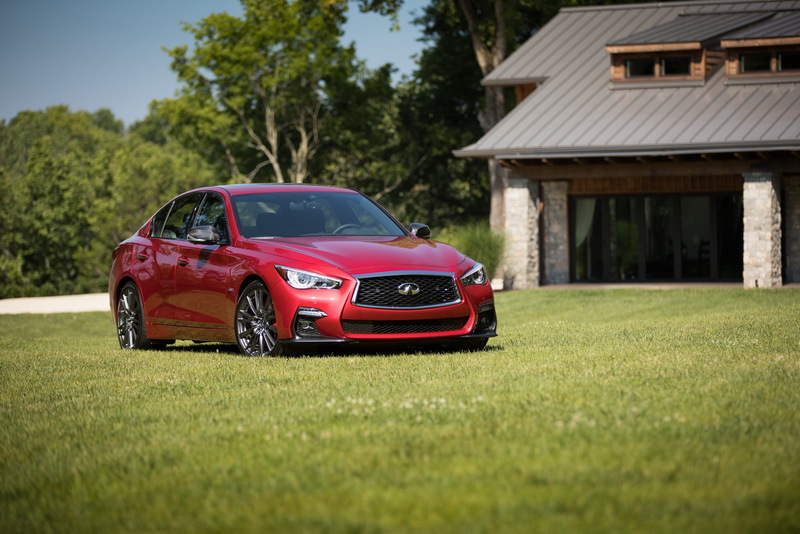 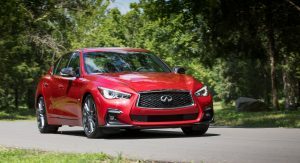 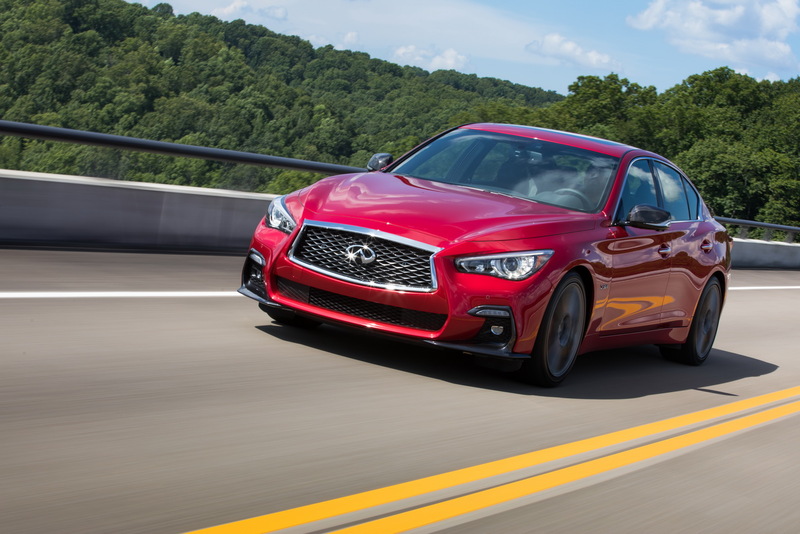 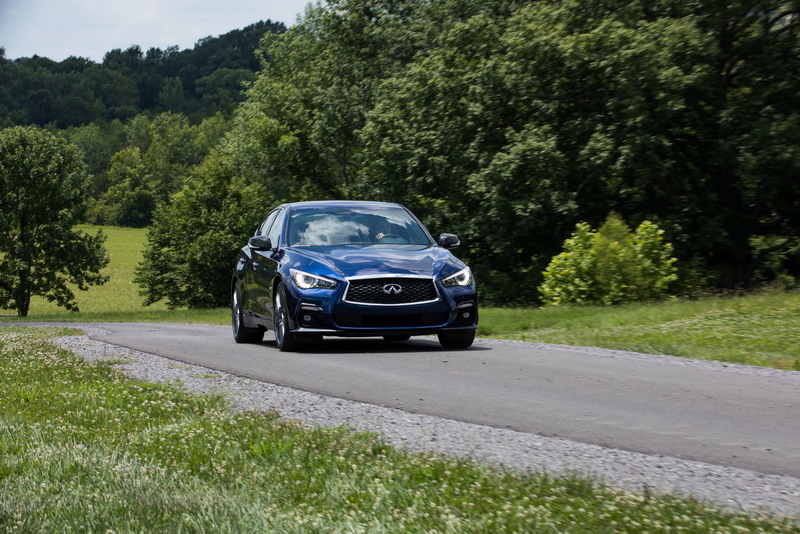 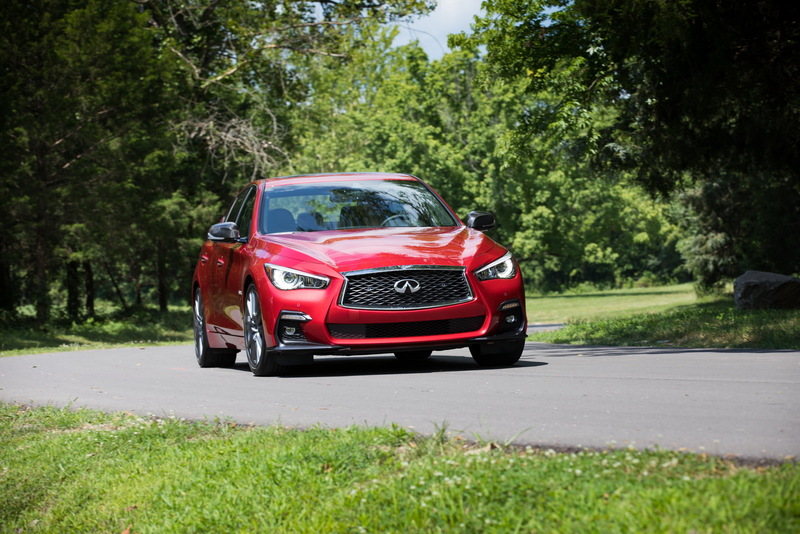 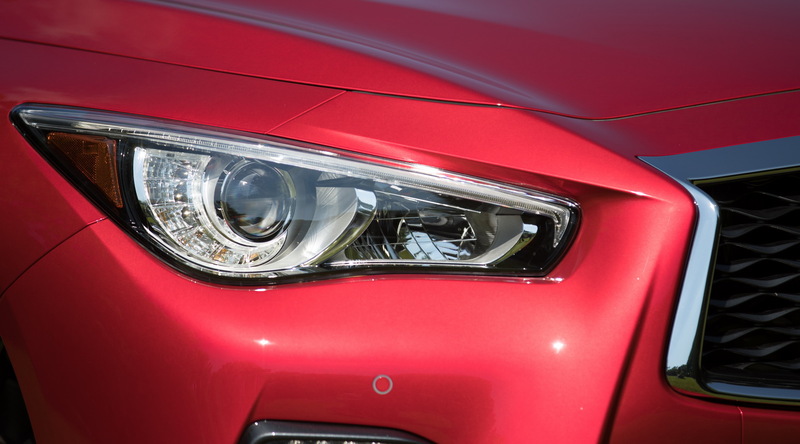 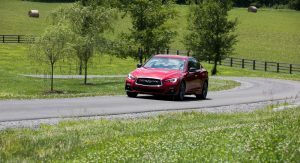 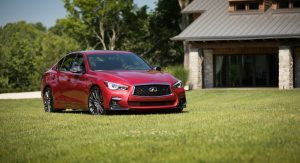 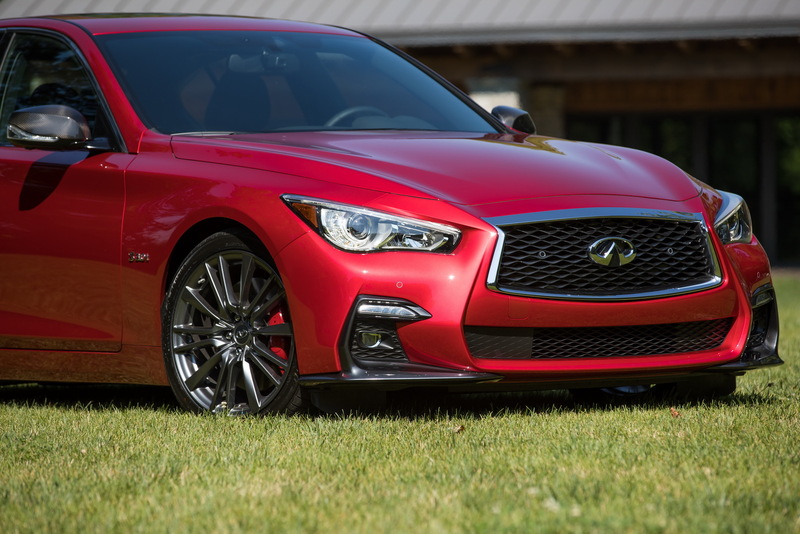 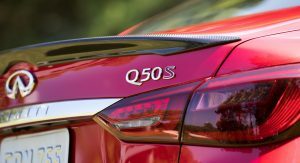 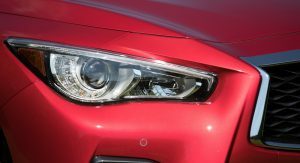 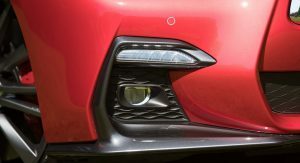 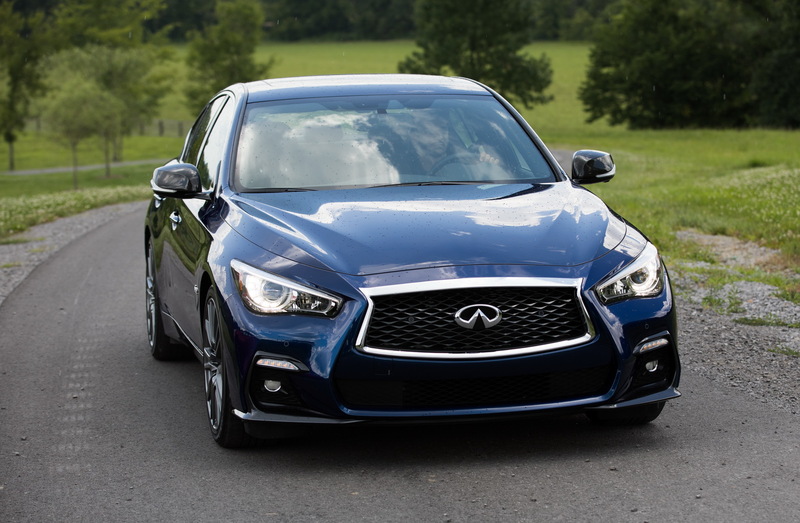 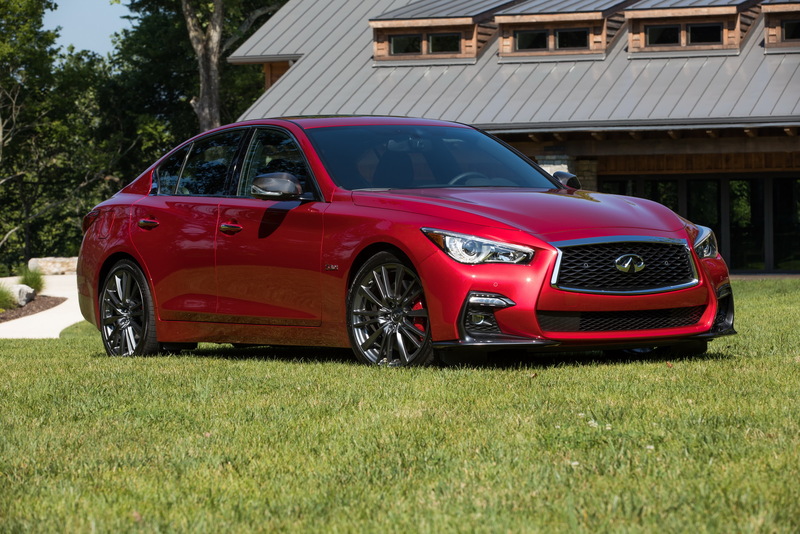 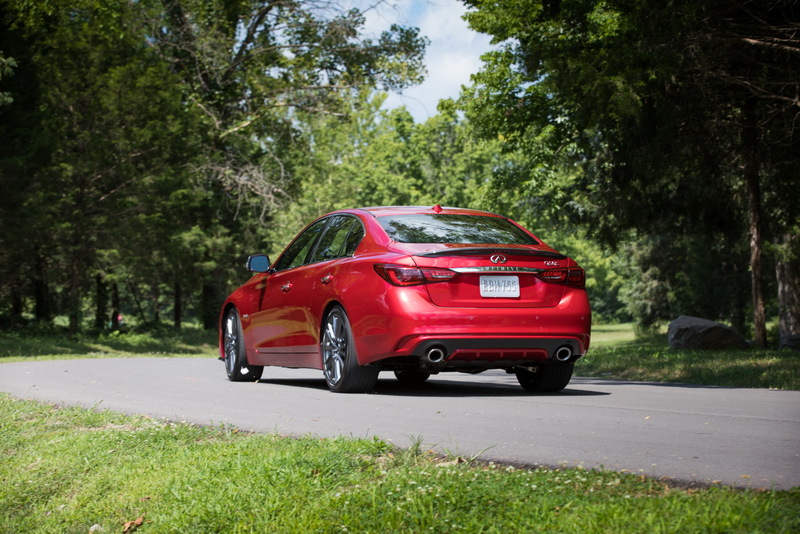 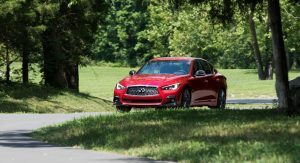 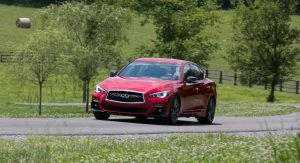 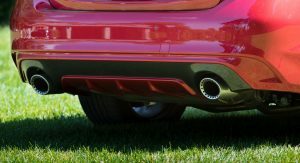 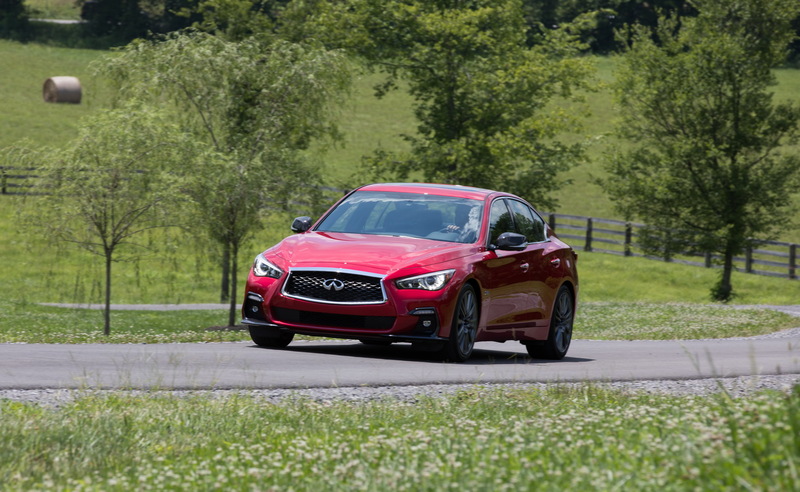 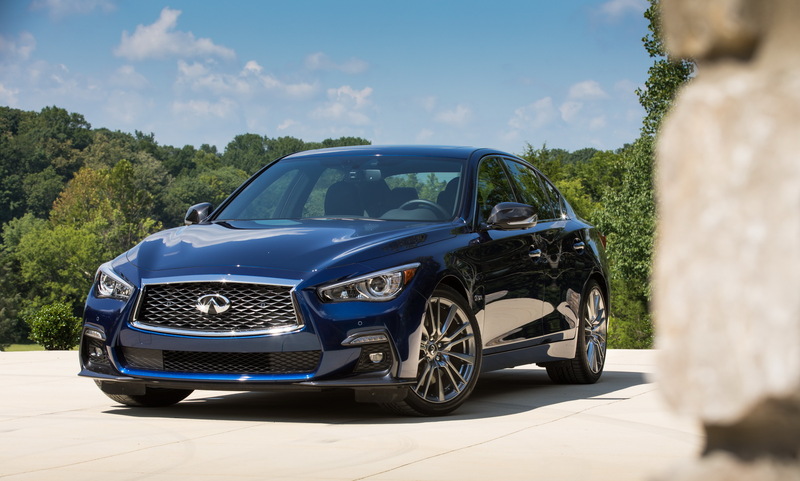 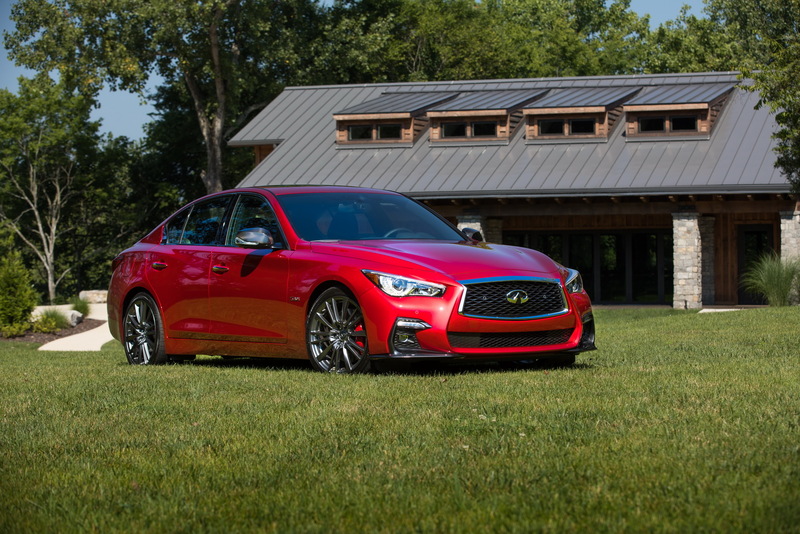 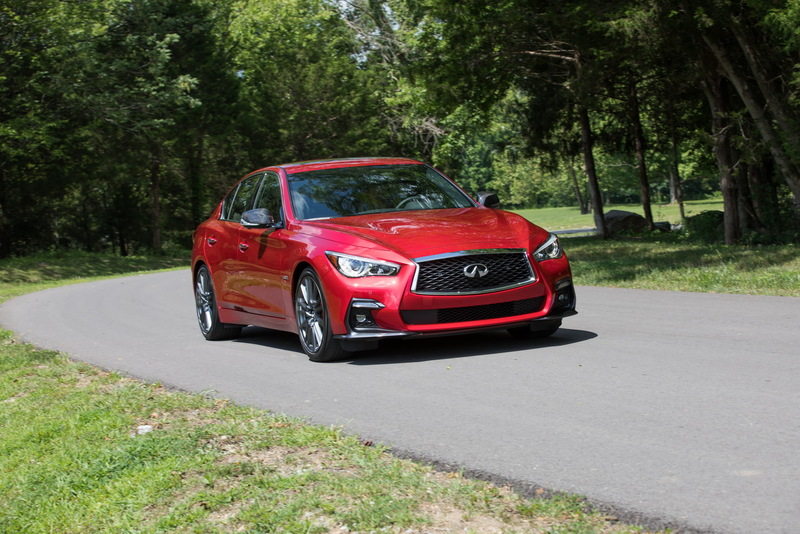 The 2018 Q50 also establishes greater differentiation between different trim levels, with the more powerful 3.0t Sport and Red Sport 400 getting a more angular front bumper with wider and lower air intakes for a sportier look. 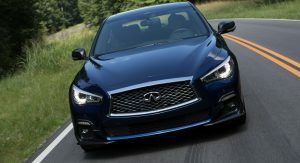 Inside the facelift adds stitching around the instrument panel, a new leather shift knob and steering wheel, spinal support seats and Infiniti’s InTouch services. 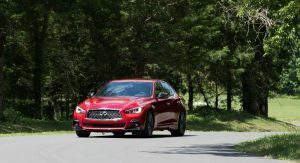 The 2018 Infiniti Q50 also comes with plenty of driver assistance systems, including Active Lane Control, Intelligent Cruise Control, Distance Control Assist, Backup Collision Intervention, Blind Spot Warning and Intervention, Lane Departure Warning and Prevention, Forward Emergency Braking, and Predictive Forward Collision Warning. 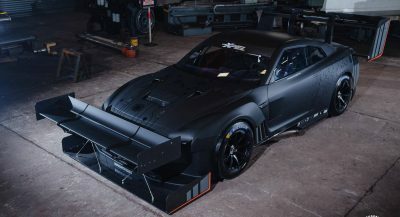 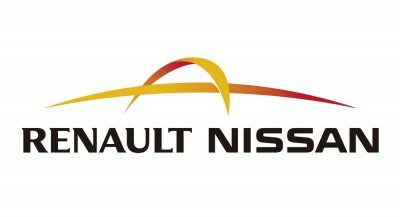 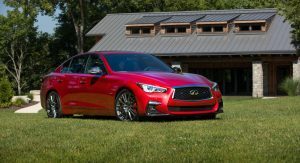 The engine range kicks off with a turbocharged 208hp 2.0-liter engine, followed by the twin-turbo 3.0-liter VR-Series V6 that’s available with 300hp and 400hp. 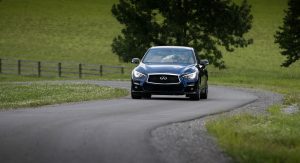 There is also a hybrid version with a combined output of 360hp, for strong performance and good fuel economy. 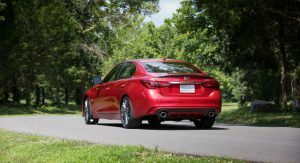 All engines are mated to a seven-speed automatic transmission. 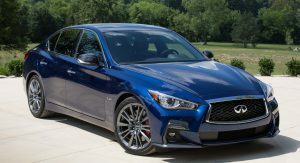 Pricing kicks off at $34,200 for the entry-level 2.0-liter model, with the most expensive of the range being the 2018 Q50 Red Sport 400 AWD which is priced at $53,000. 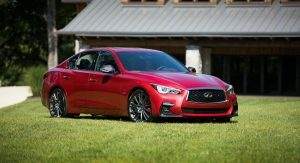 looks better, but i still cant fall in love with that oddly shaped front grill. 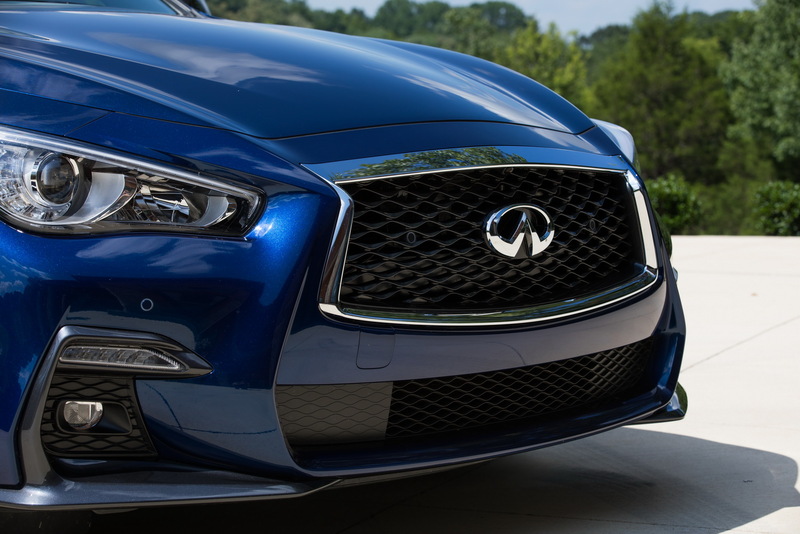 Since they came out with that grill design it’s never quite meshed well with the rest of the car. 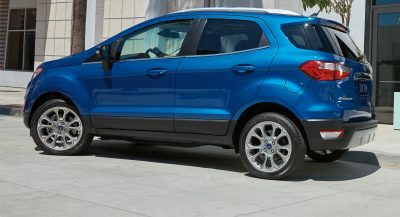 2018 exterior with 2008 interior. 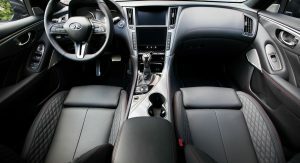 Infiniti needs a new interior designer ASAP. 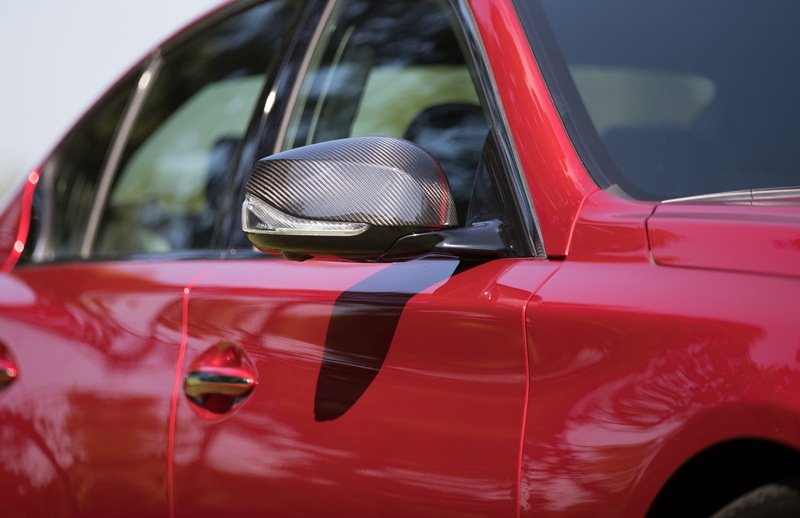 The interior is STILL out dated…. 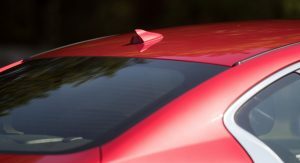 I like the added touches but it’s not enough to make this car a true player in my view. 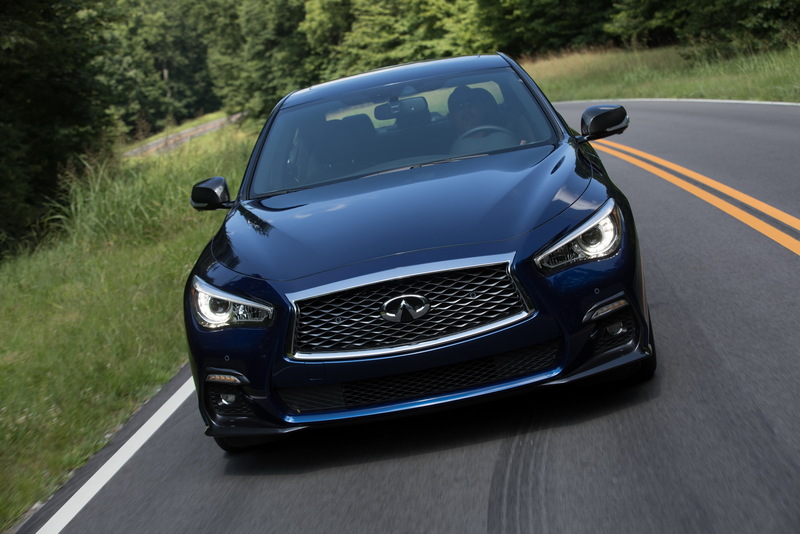 The center stack remains one of its biggest weak spots. 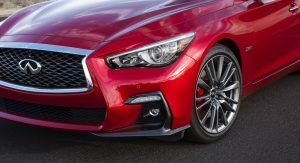 And how about a flat bottom sport steering wheel? 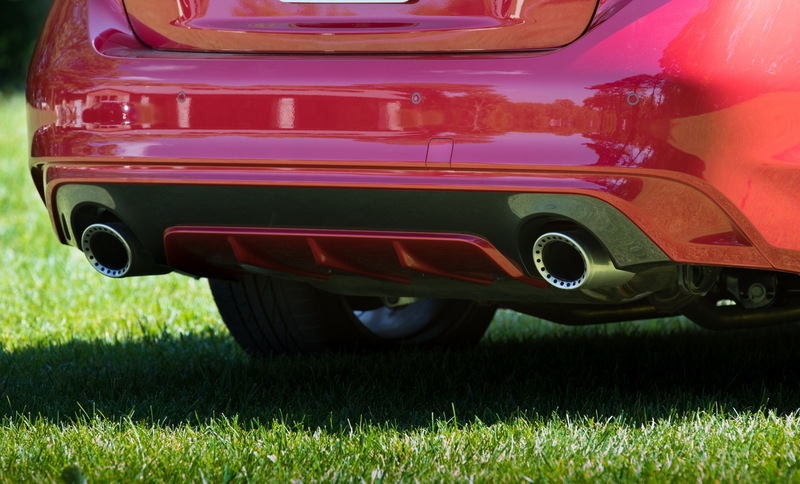 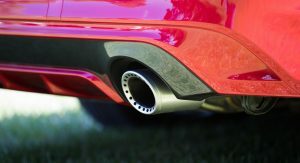 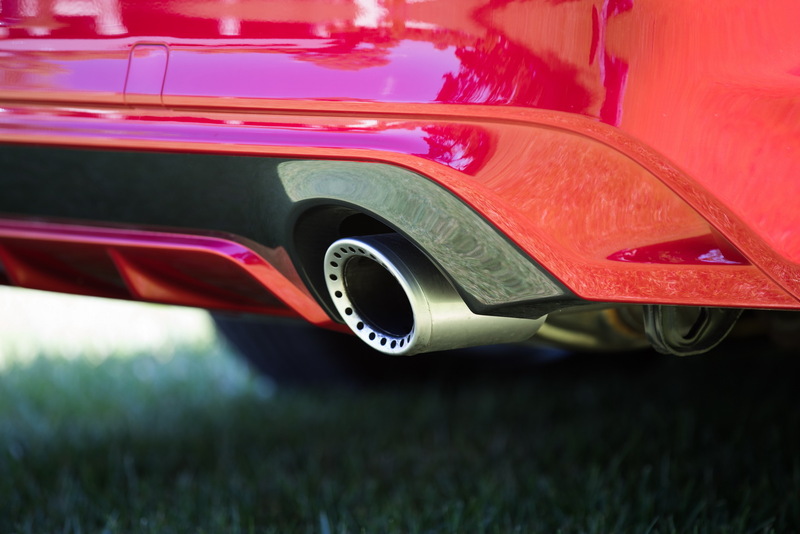 You can get that on a Kia, not to mention an Audi as well. 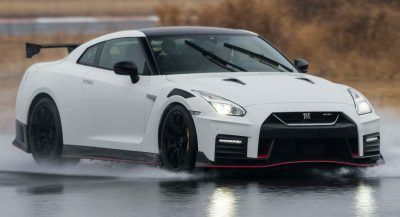 It’s a very nice car. 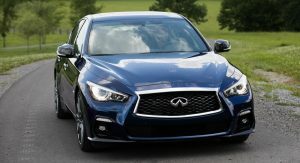 But I just don’t see any reason to buy one over something else. 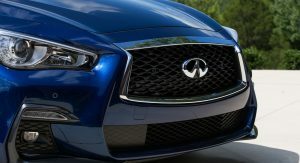 I wonder who is infiniti listening too. 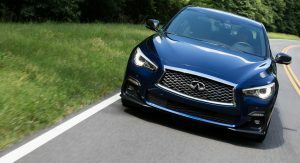 I see countless post about the lackluster interior and they do everything to this car but change that. 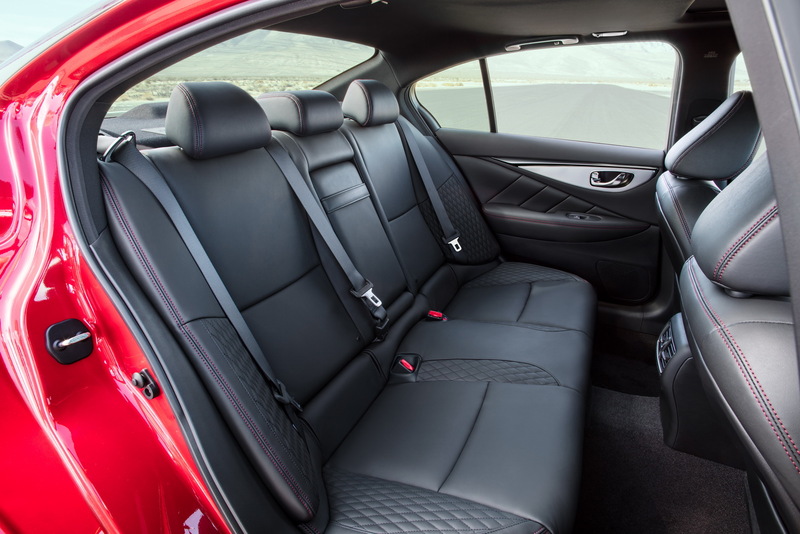 Hell even Mazda found money to update the interior of the 6 so i don’t get it. 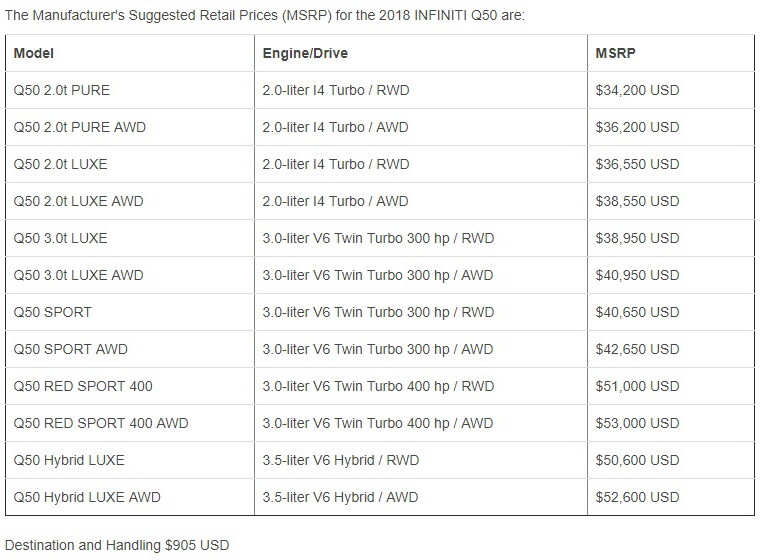 I think Infiniti is doing a good job of selling reasonably priced luxury cars with fairly good performance. 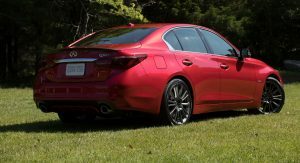 I wish Acura would release some new models that were RWD/AWD instead of the nose heavy FWD based models they currently offer. 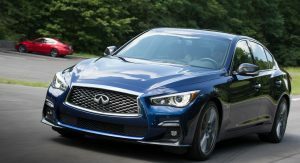 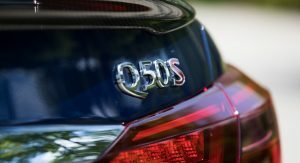 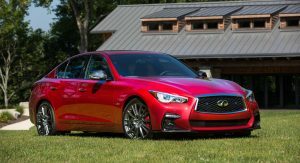 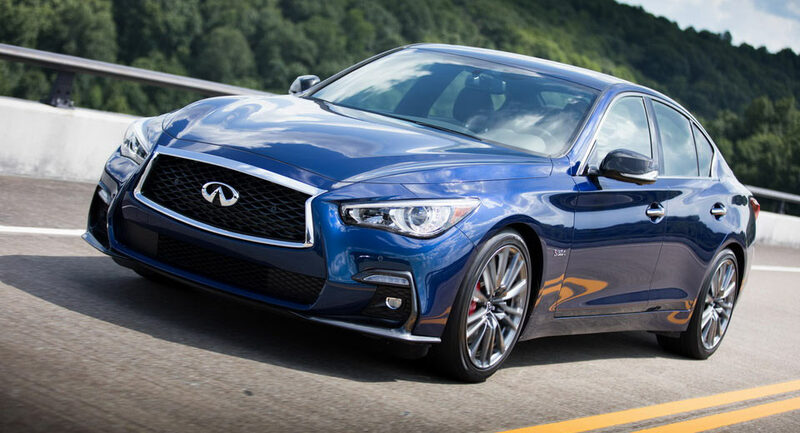 Infiniti has the recipe to become a true contender but the designers plagued the Q50 and the Q60 with an outdated interior design that doesn’t suit the handsome exterior design. 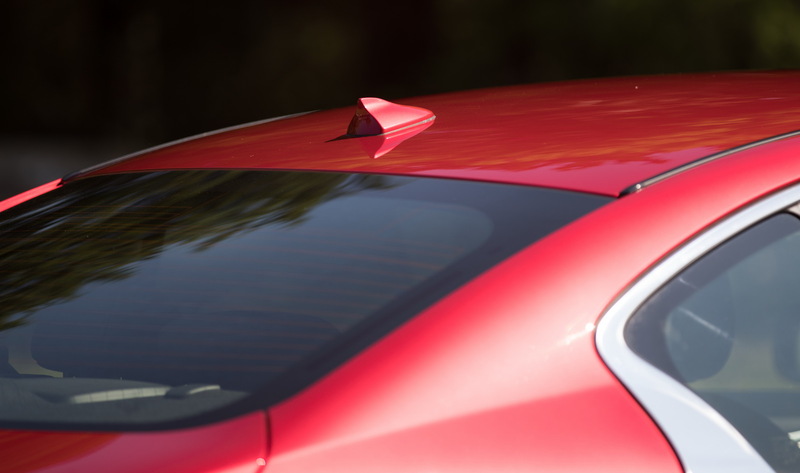 That “Angry Birds” front has to go.